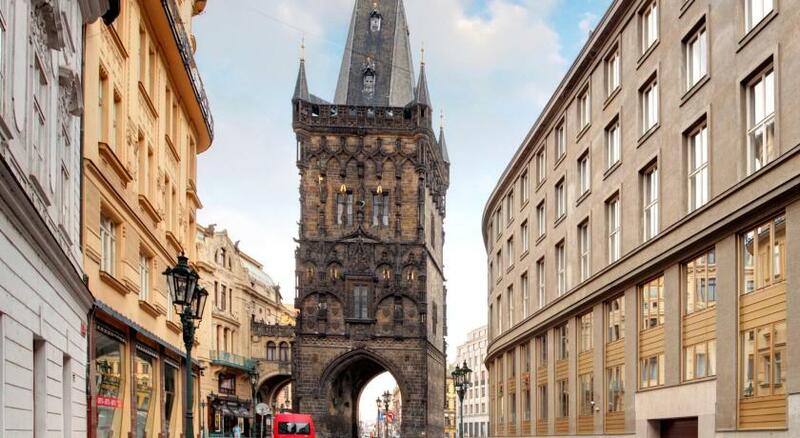 Lock in a great price for Hilton Prague Old Town – rated 8.6 by recent guests! Great location, room and restaurant. Friendly staff. Bed/Linens, bathroom design and TV. 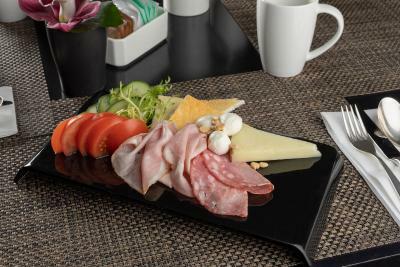 Room service was exceptional! The hotel was clean and comfortable. The size of the room was good. The staff was very helpful and friendly. He location was excellent. Lots of public transportation available. 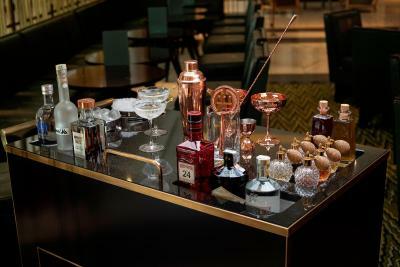 Also the concierge desk was awesome. She was able to place us with some great tours. Especially the Walk for Charity group. 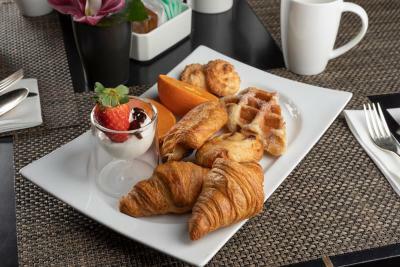 good location, nice room, clean, good breakfast. Especially front desk and manager very helpful, upgrade room for us after they know my husband is gold member even though the reservation is under my name. Excellent breakfast. Good location close to the city center. Clean rooms. Good location, walking distance to most historic sites. 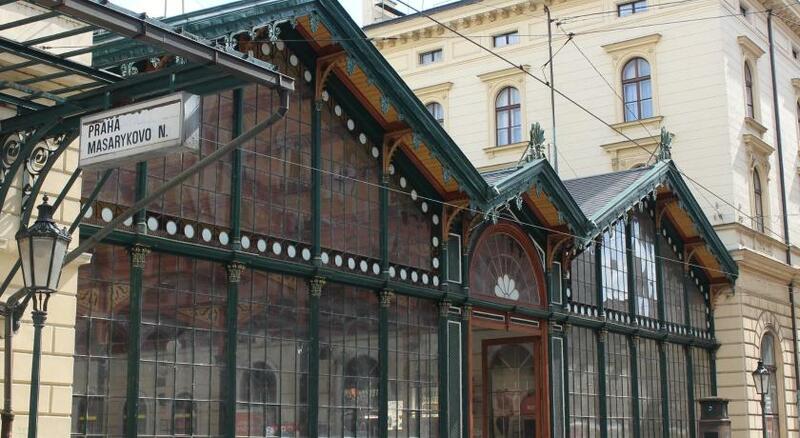 Also walking distance to main railway stations and bus terminal. 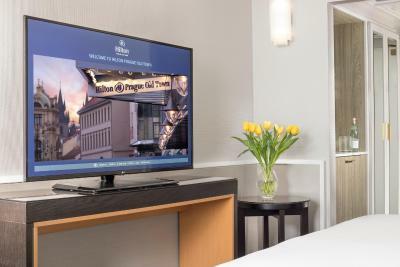 Hilton Prague Old Town This rating is a reflection of how the property compares to the industry standard when it comes to price, facilities and services available. It's based on a self-evaluation by the property. Use this rating to help choose your stay! 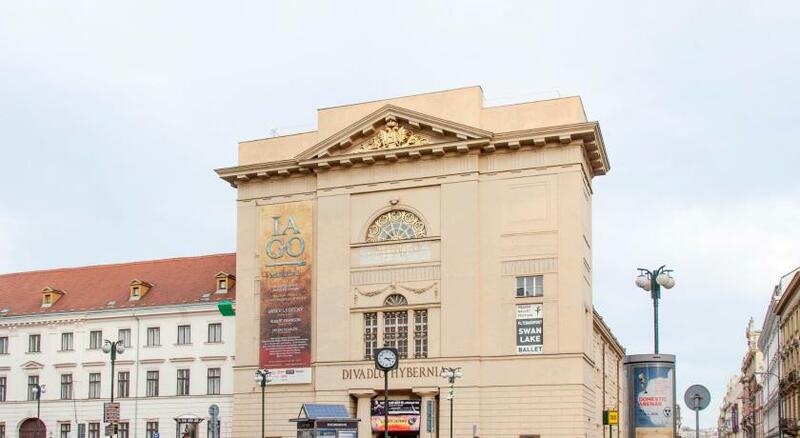 Centrally located in Prague’s Old Town, the major tourist attractions are within walking distance and the Na Příkopě shopping street and the Palladium mall are around the corner. Free WiFi is available in all public areas. 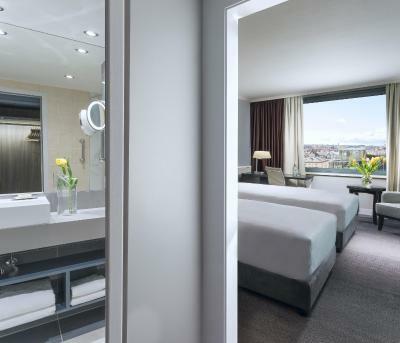 Renovated in 2018, Hilton Prague Old Town rooms combine state of the art facilities with contemporary styling and sumptuous furnishings. 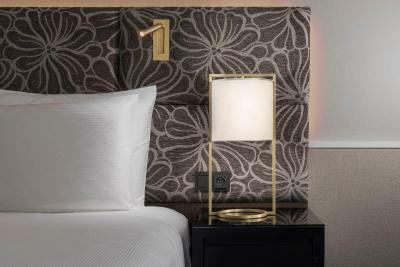 Special rooms with easy access are available for guests with a disability. 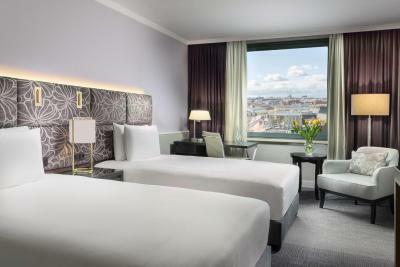 The modern rooms at Hilton Prague Old Town feature comfortable beds, a flat-screen TV and a mini-bar. 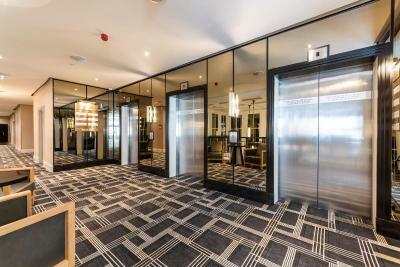 Executive rooms enjoy access to the Executive lounges, where guests can enjoy free continental breakfast and refreshments, and private check-in and check-out. 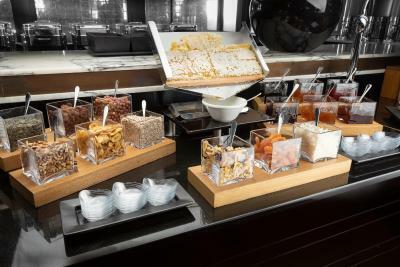 The famous Hilton Breakfast is the perfect start of the day. 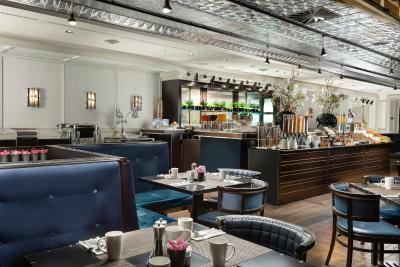 The Zinc restaurant serves innovative European cuisine based on fresh and seasonal quality ingredients. 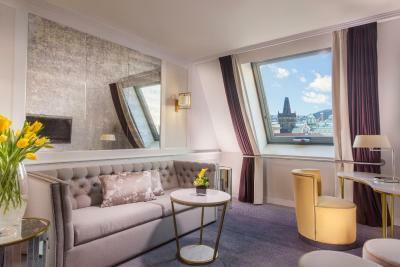 The Zinc Lounge & Bar is the perfect place to reflect on the day in Prague. A gym, an indoor swimming pool and a spa center are at guests' disposal free of charge. Various relaxing massages can be arranged at any time. 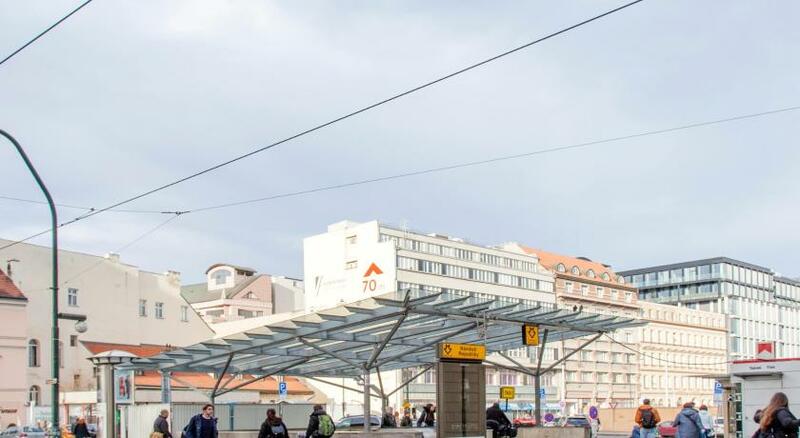 The Náměstí Republiky Metro Station is 1,000 feet away and parking is possible on site. 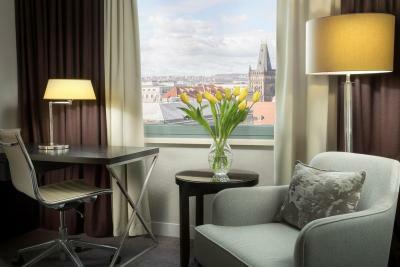 When would you like to stay at Hilton Prague Old Town? 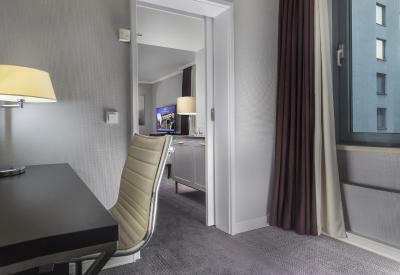 This room has large windows, a king-sized bed, a large desk with ergonomic chair and a 55-inch TV. Please note that maximum occupancy is 2 adults (extra bed not possible). 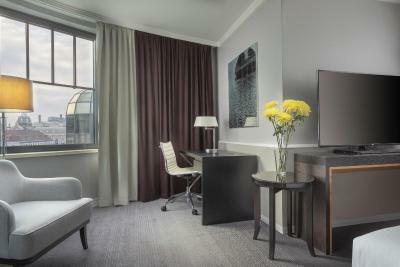 This room comes with large windows, 2 single beds, a desk and a large 55-inch TV. 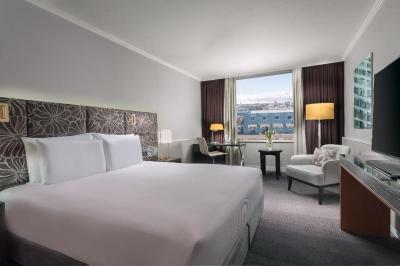 This room comes with large windows, a queen-sized bed, a desk and a large 55-inch TV. 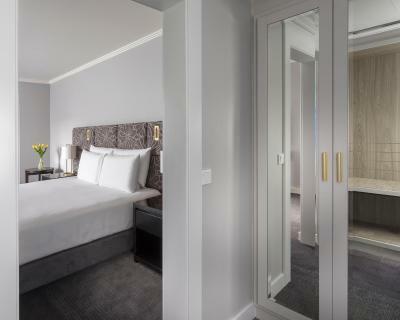 This spacious junior suite is located on a higher floor with a separate living area. It has one king-sized bed and opening windows. 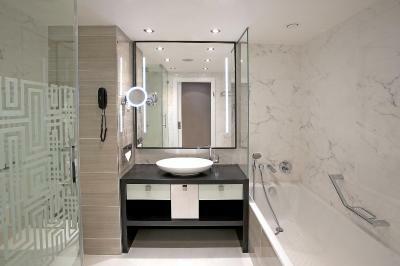 Special amenities include 2 complimentary bottles of water, bathrobes and slippers. 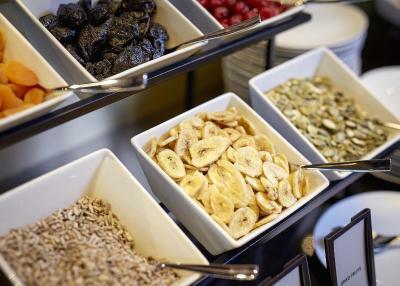 Executive level guests enjoy exclusive access to the hotel’s Executive Lounge, serving complimentary continental breakfast, drinks and snacks throughout the day plus private check-in and check-out. 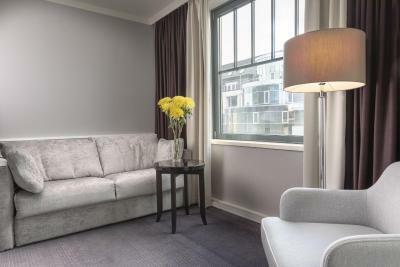 This spacious suite is located on a higher floor with a separate living room and a sofa bed. 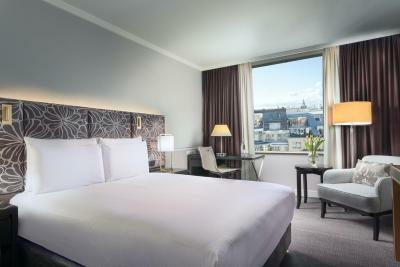 The bright and airy suite has 1 king bed and opening windows. Special amenities include 2 complimentary bottles of water, bathrobes and slippers. This stylish, fully refurbished executive room is located on a higher floor of the hotel featuring one kings-sized bed, a solid hard wood desk with integrated writing mat and data box and a 55-inch TV. 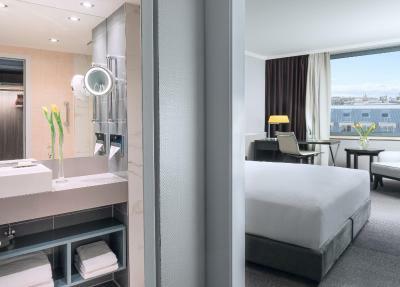 Special amenities include 2 complimentary bottles of water, bathrobes and slippers. 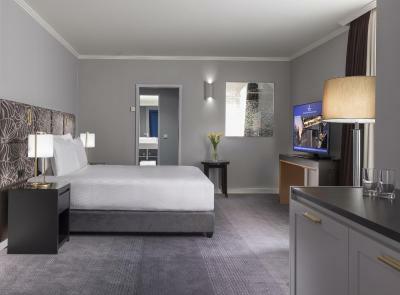 This stylish, fully refurbished executive room is located on a higher floor of the hotel featuring one queen-sized bed, a solid hard wood desk with integrated writing mat and data box and a 55-inch TV. Special amenities include 2 complimentary bottles of water, bathrobes and slippers. 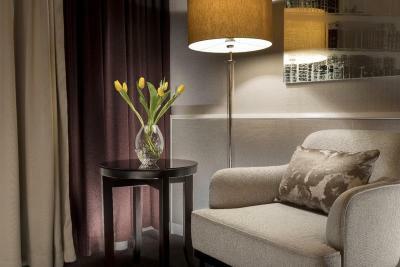 This stylish, fully refurbished executive room is located on a higher floor of the hotel featuring 2 single beds, a solid hard wood desk with integrated writing mat and data box and a 55-inch TV. 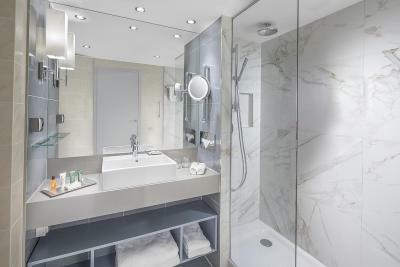 Special amenities include 2 complimentary bottles of water, bathrobes and slippers. 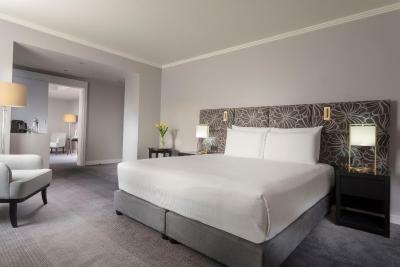 Executive level guests enjoy exclusive access to the hotel’s Executive Lounge, serving complimentary continental breakfast, drinks and snacks throughout the day plus private check-in and check-out.Please note that maximum occupancy is 2 adults (extra bed not possible). This large contemporary suite comes with a separate living room, a sofa bed and a dining table. It features opening windows, 1 king-sized bed, a work desk and a 55-inch TV. 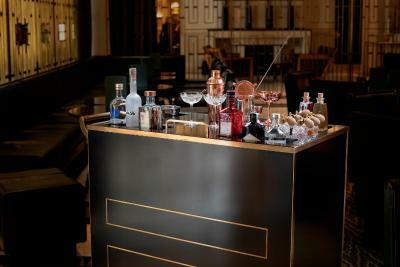 Special amenities include 2 complimentary bottles of water and a Nespresso coffee machine. This room type features Art Deco elements, as well as a relaxation corner by the window and a separate working desk with a built-in USB socket. 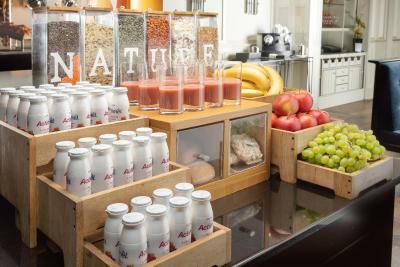 You can benefit from complimentary bottles of water per stay and a voucher with a 20% discount on bar and restaurant consumption (excluding special events). 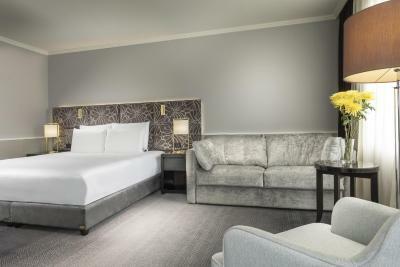 Spacious room featuring a living area with sofa, a 55" TV, a marble bathroom with walk-in shower, and Art Deco elements. This corner room offers city views from the large windows. 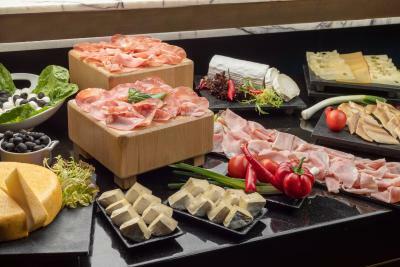 House Rules Hilton Prague Old Town takes special requests – add in the next step! 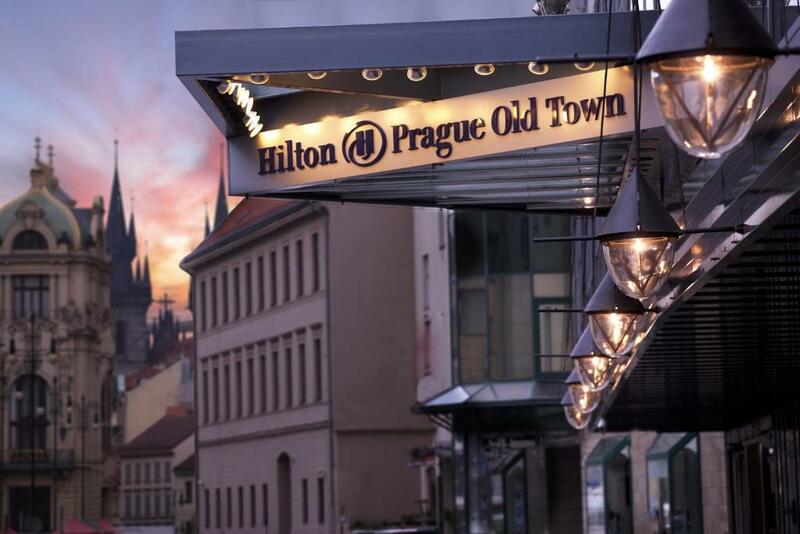 Hilton Prague Old Town accepts these cards and reserves the right to temporarily hold an amount prior to arrival. Children under 18 years stay free of charge when using extra beds. 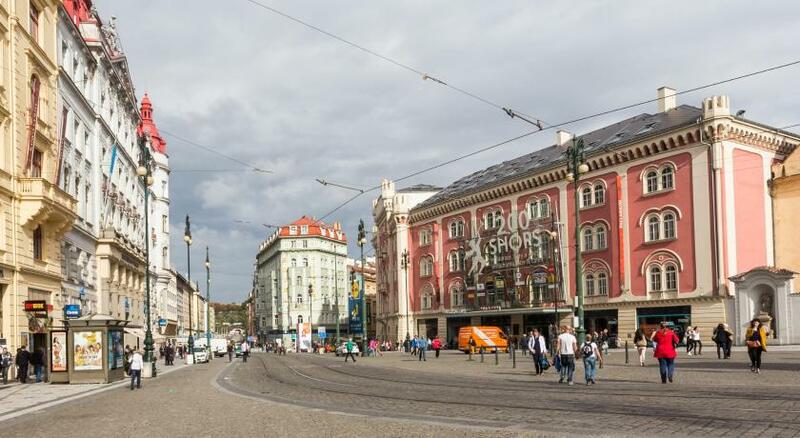 The total amount for your stay will be charged by the hotel in Czech Crowns at the hotel's fixed exchange rate. The cleaner was very good and left us personalised notes which we loved. I would like to have seen an option for eggs to order. Pool and sauna. Pool too small too cold. Booked the hotel for its spa facilities. Forget about the pool as it was too cold to swim in. In the end didn’t use it nor the sauna. Otherwise the room is as to be expected from hilton. Service is excellent location is so convenient. Huge disappointment when being woken up by cleaning staff. The staff were very friendly, polite and knowledgeable. Hotel is located close to Old Town and far enough away to not be too noise on Friday and Saturday nights. - For us, it seems the bed is too hard and not comfort - We stayed for five nights, but they never change our bed clothes so for five stars hotel this is poor! - We check in at around 10 pm after check-in the reception even did want to ask us how many luggage we have. We have to go to the room by our self; no one came to explain how things work in the room. 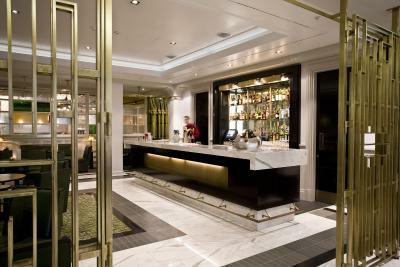 - They asked for the deposit without told us how much From these things, while it all like small details, but since Hilton is five stars hotel, so I expected the better service. I have been in Prague 3 times and with a comparison to the other five stars nearby this Hilton service still far behind.